The latter day conventional wisdom on TV ratings, as recited by network chieftains and programmers, is that they don’t really count anymore until all the delayed viewing is added up. 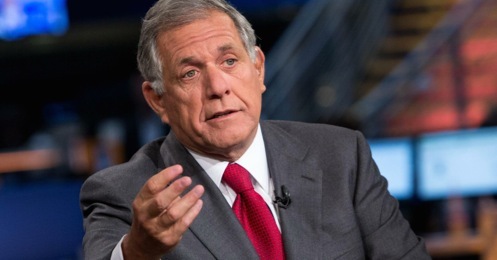 CBS Corp. president and CEO Leslie Moonves was the latest to dismiss the so-called “overnight” Nielsen numbers on the Tuesday, Oct. 13th edition of CNBC’s Squawk Box. That’s all well and good if you’re a network looking to maximize profits. Typical was this Monday publicity release on behalf of the new CBS drama series Limitless. The Sept. 22nd premiere of Limitless averaged a same-day national audience of 9.86 million viewers but “has jumped to more than 17.6 million viewers with the inclusion of 7-day DVR playback, the unduplicated audience from an encore broadcast and 14 days of video-on-demand/online streaming,” CBS says. Well, big whoop. But you know who’s not impressed at all by those numbers? Local CBS stations across the land, including CBS11 in D-FW. Limitless, which airs on Tuesdays at 9 p.m. (central time), provides the lead-in for local late night newscasts. So the only number that really counts for them is what Limitless does in its first airing. Anyone who’s watching Limitless on immediate DVR playback is not catching the 10 p.m. news on CBS11. Nor are those who wait until the next day or next week to look at it. Those in-show teases for stories you just can’t miss have a very short shelf life. If you aren’t watching and aren’t hooked, then buh-bye lead-in afterglow. The great, great, great majority of local news viewers watch their newscasts live. Do you know anyone who regularly DVRs them for later viewing -- other than idiots like me who occasionally post content analysis pieces on this site? The Big Four broadcast network titans don’t think this way, but you can bet that local station executives do. For example, let’s look at Monday’s D-FW “overnight” ratings for the 9 p.m. network lead-in shows. NBC’s Blindspot drew the largest number of viewers and pulled in 290,378 for the closing 9:45 to 10 p.m. segment that leads directly to local newscasts. TEGNA8, an ABC affiliate, is still the most reliable newscast ratings performer at 10 p.m. and will usually rank first in total viewers if the lead-ins are on a fairly equal footing. But on Monday, the last 15 minutes of ABC’s 9 p.m. Castle drew barely half the number of viewers -- 148,730 -- that Blindspot did. NBC5’s 10 p.m. newscast then capitalized by ranking No. 1 with 189,767 viewers. TEGNA8 made up some ground but couldn’t quite overcome the Castle effect. The station finished second with 162,895 viewers. The live “lead-in” effect comes into play almost every night to some degree. Never more so than on Wednesdays, when Fox4’s 9 p.m. local newscast sups on the bounteous ratings feast provided by an Empire lead-in. Look at last Wednesday. The 8:45 to 9 p.m. segment of Empire amassed 502,850 viewers before Fox4’s following newscast comfortably won the 9 p.m. hour with 226,637 viewers. That’s a pretty steep drop-off and Fox4 clearly would like to do even better. Still, beating first-run network entertainment programming is a considerable plus. Now let’s check out last Tuesday night, when Fox served up the little-watched Scream Queens as a lead-in for Fox4’s news. The closing 15 minutes of Scream Queens drew a paltry 56,659 viewers. Fox4’s newscast trampolined to 127,483 total viewers but still finished in a distant second place tie behind CBS’ competing Limitless, which had 212,472 viewers after coming off a bullish lead-in from CBS’ NCIS: New Orleans. One more example. Last Friday’s top-rated 9 p.m. show, CBS’ Blue Bloods, fed 219,554 viewers to CBS11’s news, which then easily won its time slot. NBC5’s 10 p.m. newscast received the night’s skimpiest 9:45 to 10 p.m. lead-in from NBC’s Dateline. Guess where it finished? Fourth. So yeah. Fox can crow all it wants in a publicity release about how Scream Queens increased its premiere audience by 80 percent with its “massive streaming audience” in the first three days since its Sept. 22nd launch. Therefore it’s “a model for contemporary viewership,” says Fox in addition to generating a whole lot of tweets. Trust me. Local station managements don’t really care if a show “travels” well. They want instant gratification every week on the designated night at the designated time. Not that they can say anything publicly. Fox4, NBC5, TEGNA8 and CBS11 all are owned from afar, with only TEGNA not tied to a specific network. In terms of late night local newscasts -- and other “dayparts” as well -- lead-in programs remain the straws that stir the drinks. Watch them now, not later. There’s still considerable value to that, even if the network czars increasingly are looking the other way.